Intelliglass is an intelligent glazing system that provides the ideal solution where privacy may be required, for example in environments such as hospitals, consulting rooms, banks, therapy rooms, commercial offices and schools. In certain situations, it may be desirable for vision panels to be obscurable. 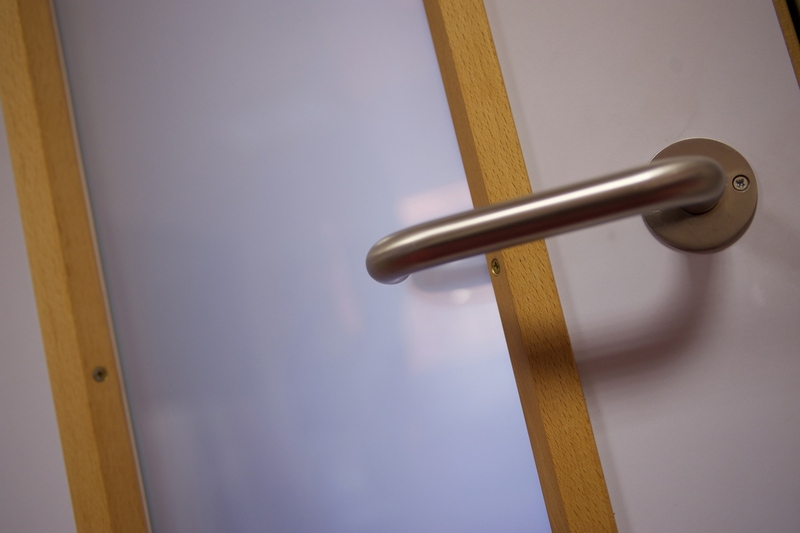 Intelliglass enables you to obscure vision panels in any doorset. The panels can be changed from clear to frosted at the flick of a switch. This intelligent glazing system can be automatically or remotely controlled by connection to a PC or by wireless connection or simply a switch adjacent to the doorset. As there are no protrusions to cause dust or dirt build-up, they are ideal for locations where hygiene is of prime importance. The high-tech Intelliglass obscured vision panel solution is available from Leaderflush Shapland and obviates the need for cumbersome mechanical systems, blinds, shutters or curtains, creating new options for architects and specifiers when designing doorsets. The Intelliglass concept is to provide an intelligent glazing solution to vision panels that have both aesthetic and functional benefits. A constant supply of electricity is fed to the vision panel, which creates 100% visibility. When the power is turned off, the vision panel is obscured. Intelliglass uses solid state technology requiring no moving parts or special maintenance. Power consumption is less than 5 watts per square metre, making this a cost effective, environmentally friendly solution.